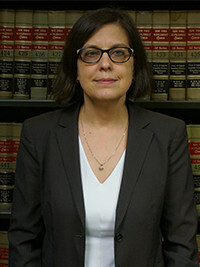 BEVERLY T. MCGRATH joined MDAF as an associate in 2017. Ms. McGrath has substantial experience representing plaintiffs in personal injury suits. She has litigated premises liability, municipal, motor vehicle and dram shop cases. At MDAF, Ms. McGrath focuses her practice on defending premises liability, construction, general liability matters and property damage/loss. Law Office of Anthony R. Tirane, Esq.